$5.95 per customizable flexi magnet. 4" x 6" flat flexible magnet. Flexible vinyl lamination contours to curved surfaces. 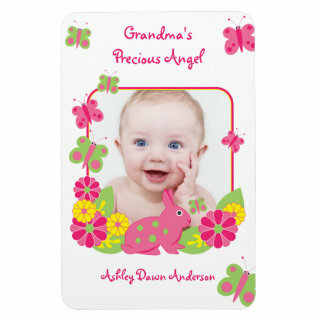 Zazzle's vinyl laminated flexible flat magnets look great with photos and text. Designs are vibrantly printed in full color. These magnets are stain and water resistant, and it's easy to customize any photo templates and text to your own. Water and stain resistant full-color vibrant printing. Zazzle magnets are printed and shipped in the US, even if ordered off of international sites. Please allow sufficient time for international shipping.